Koothoomi Records are offering free postage and packaging on all orders over £40 throughout February 2014. From Saturday 1st Feb until Friday 28th February all orders over £40 not including postage will have their post refunded, you cant ask for more than that. 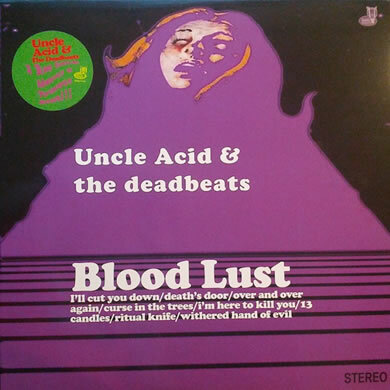 Koothoomi Records have Uncle Acid And The Deadbeats Vinyl now in stock. We have different coloured vinyl copies of the albums and singles: Mind Control, Blood Lust Mind Crawler and Poison Apple.